A winter performance tire that offers responsive handling and traction in wet and slippery conditions; trusted for use on many police vehicles. 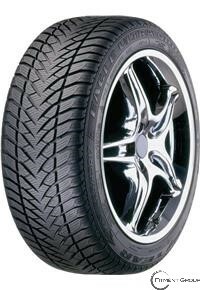 A unique high-performance winter tread compound offers performance driving in all winter conditions. High-blade density with multiple biting edges helps provide enhanced grip in snow and ice with wet and dry steering capability. V-TRED™ technology helps evacuate water and slush away from the contact patch. Rim protector helps protect wheel against accidental curb damage.